Here’s the scenario: You’re attending a cocktail party full of fascinating guests. Some of them are familiar to you, some are strangers, but you’re enjoying circulating among them, sharing brief but interesting conversations. And then The Guy walks in. He looks like all the rest, but then he raises a megaphone to his lips. Some of your fellow guests try to shush this guy, but he’s not listening. Not only has he crashed the party, he’s ruined it for everyone else. You make a mental vow: even if The Guy’s widgets are the last ones on earth, and you need them to survive the zombie apocalypse, you will never, ever buy one from that jerk. Ever. We’ve all seen The Guy. In fact, some of us might even have borrowed his megaphone now and then. 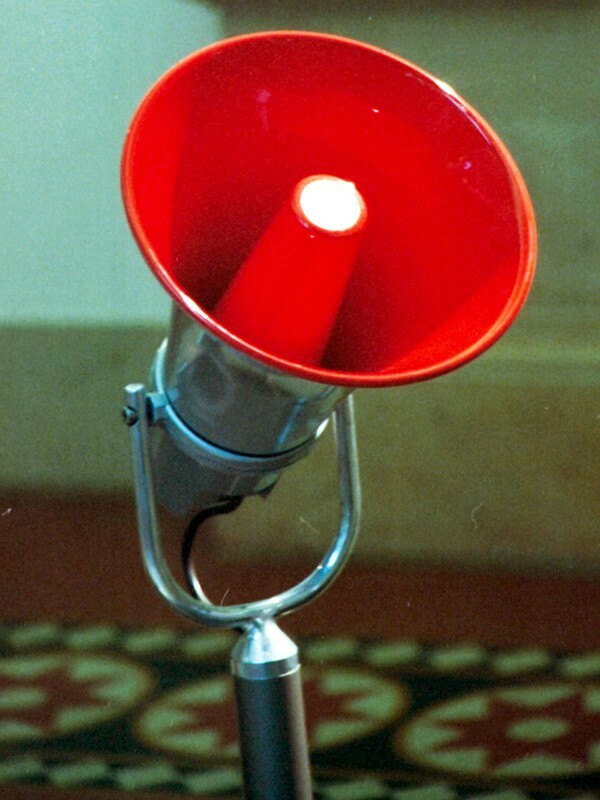 Because when we use social media channels as our own personal broadcasting tool to advertise our products or brand, we might as well be cranking that megaphone’s volume up to 11. That strategy works well enough for media like television or radio. But it really doesn’t translate at all into social media platforms like Twitter, Google+, LinkedIn, or Facebook. These platforms are called “social media” for a reason: they’re all about making connections, developing relationships, and sharing ideas. The most successful social media marketing strategies don’t rely on repeatedly bellowing a message. They’re much more likely to involve listening, engaging in conversations, and creating community. So does this mean you can’t talk about your business on social media? Not at all! We try to follow the “1:4” rule whenever we’re online: for every four posts, we post one that brings readers back to our blog. The rest of the time, we’re busy bringing value to our followers by engaging in conversation with our fellow community members, or sharing others’ posts. Just as it’s not appropriate to walk into a cocktail party and hijack it with your megaphone, nothing will get you unfollowed faster than leaping into your nearest social media discussion with a flurry of “Buy my product!” posts. When you approach social media thinking, “What can I learn?” rather than “What can I sell?” you’ll suddenly find that people are eager to hear your message…and pass it on.